Hello! Welcome to “Location Independent, International Jobs,” the Wednesday series where I showcase stories from people who have become location independent, work internationally, and/or continuously travel. I’ve interviewed some fascinating individuals who all have slightly different takes on location independence or living internationally. Recent posts include Steve from Think, Save, Retire, Mrs. Adventure Rich, and Mavis, an international teacher. Guest posters will be sharing how they became location independent or how they got jobs abroad, but most importantly, they’ll share how their lifestyle has positively or negatively affected their finances and how they got to the life they’re living now. Today, I’d like to introduce you to Heather, a twenty-something ESOL teacher who lives in New Hampshire. I know Heather from my Master’s program and we have a lot in common, which is why I asked her if she would share her story on the blog. Heather moved to Chile after college, just like I did, and taught English as a Second Language, just like I did, and fell in love with Chile (easy to do!) just like I did. And we both live in New Hampshire and attend the same Master’s program in TESOL (Teaching English to Speakers of Other Languages). But, our stories are a bit different, and probably more importantly, we’re about a decade apart in age. So Heather is at a different place in life than I am, which is cool, because she can do things like introduce me to SnapChat. Okay, without further ado, I give you Heather! I’m from Sandwich, New Hampshire. [Laurie: I love that town name]. I have a B.A. in Italian Studies from Connecticut College. 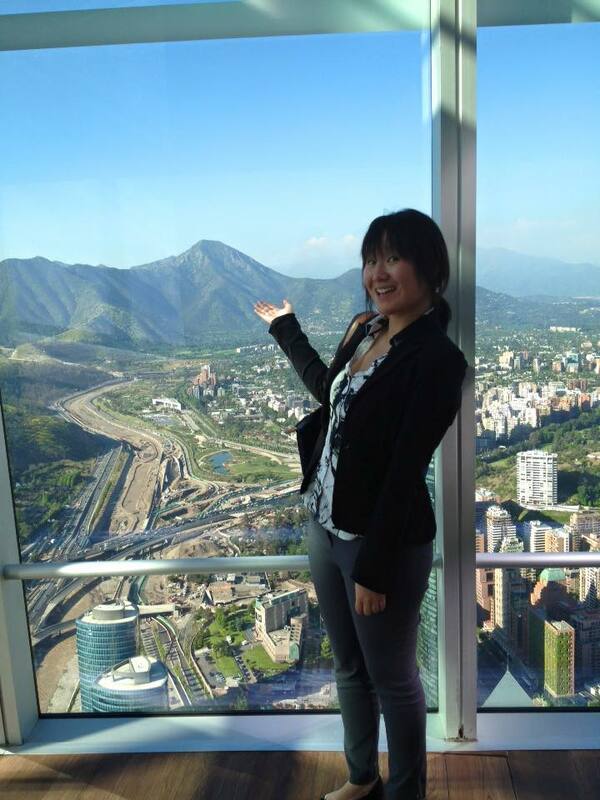 Heather in Gran Torre Santiago (the tallest building in Latin America), overlooking the north part of the city. How did you make the decision to move internationally? One thing I’ve learned about the journey of personal finance is that it’s personal. We all have different priorities for our money. But today, I’m going to argue that everybody who can finagle it should spend money on travel. Whatever you call them–get aways, mini breaks, vacations, holidays–no matter how close or far from home you go, I believe there are major benefits to regular travel. Our family has been a fan of traveling for a long time. Because, what better way is there to prepare for a life where you can travel anywhere than to travel, well, somewhere? If you’re interested in becoming location independent, I recommend making it a priority to take at least one trip or mini-trip per year. Yes, there is always debt to pay off, emergency funds to fill, and possessions to pare, but the benefits of travel are many. Taking a small percentage of your take-home pay and reserving it for a trip each year, even a brief, close-to-home one, is worth delaying those other goals by a few months. Mr. ThreeYear and I took a weekend trip to Montreal several years ago, and it was nectar to our traveling souls. 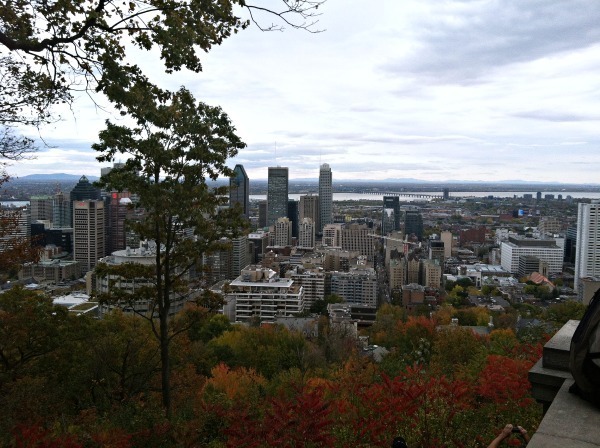 We’re only three hours away by car from Montreal, so we booked a hotel using our credit card rewards (thank you SPG card), drove up, and spent a fabulous weekend exploring the Museum of Fine Arts, the eponymous city park Mont Royal with the fabulous view of the city (boy were my legs tired after that climb! ), and the heart of Old Montreal. We ate delicious ethnic food (including Korean BBQ and Szechuan) and drank lots of cappuccinos. Our trip lasted three days, and cost us about $350, but it reminded us why we love to travel so much and why we’re working so hard to become location independent. A long weekend in Quebec was a balm to our parenting-weary souls. Hello! Welcome to “Location Independent, International Jobs,” the Wednesday series where I showcase stories from people who have become location independent, work internationally, and/or continuously travel. If you haven’t already, check out the posts from Ruby from A Journey We Love or Adriana from Italy. Guest posters will be sharing how they became location independent or how they got jobs abroad, but most importantly, they’ll share how their lifestyle has positively or negatively affected their finances and how they got to the life they’re living now. Today, I’d like to introduce you to Pete from Do You Even Blog, where he interviews bloggers and online entrepreneurs on his podcast, and teaches people how to blog on the website. Pete and his family have been fully location independent for about six months and he runs his own business from home. I’ve gotta share his “official bio”–what a wordsmith! Pete McPherson writes killer bio paragraphs. But when he’s not doing that, he’s a full-time husband and dad, idealistic entrepreneur, purple cow thinker, blogger, marketer, CPA, data nerd, STAR WARS nerd, web and iOS developer…and really fast typer. He spends his days teaching people how to blog better as well as drafting and validating various project ideas. So get ready to hear a story about bravery from Pete, who took a leap of faith to create a location independent business to give his family a better lifestyle. I have two kids (aged three and three months), and I have a super-corporate background in Accounting and Finance. I worked for huge companies in Atlanta, Georgia [Laurie: hey! us too!] for a few years before venturing out on my own 100%. Oh, and my wonderful wife and I have been married four years! Pete from Do You Even Blog and his family. Today, I’d like to introduce you to Mrs. Adventure Rich, a twenty-something Midwesterner married to Mr. Adventure Rich, a thirty-something handyman. 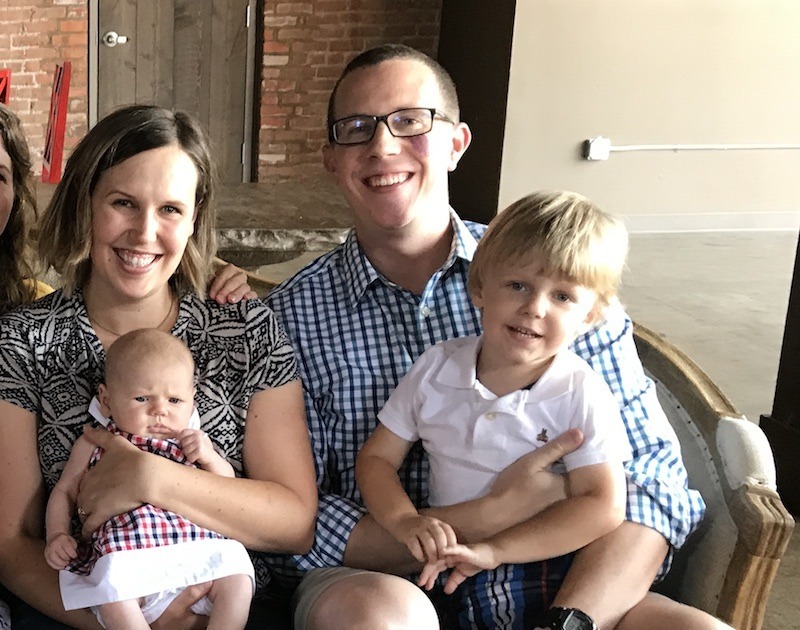 The couple recently had a kid, bought a house and property, and began documenting their journey to financial independence on their blog, Adventure Rich. Mrs. AR gives us tons of great details on how she negotiated a remote position and moved back home to Michigan to be close to her family. Take it away, Mrs. AR! Mrs. Adventure Rich enjoys all things outdoor. I am originally from northern Michigan. My parents were small business owners who hustled to grow their outdoor sports goods store, and I was raised with a passions for all things outdoors. I attended college in southern California where I graduated and headed into a business career based near Los Angeles. During my first summer working, I “met” (we knew of each other, but never on personal terms) the future Mr. Adventure Rich. He took me mountain biking on our first date and the rest is history 😉 We got married in 2013 and our son, Adventure Rich Jr., arrived in 2015. In the 2 years of his life, he has developed into a crazy-energetic kiddo whose favorite pastime is challenging us to running races down our driveway (yes, really… I’m a runner and he tires me out!). If you’re just joining, our family of four is on a three-year journey to double our net worth and become location independent so we can move abroad. 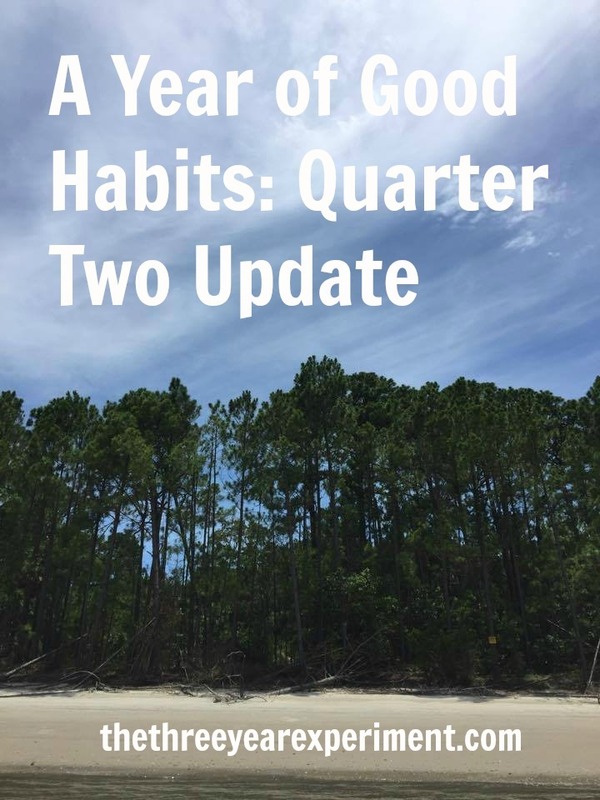 Each month, I’ll keep you apprised of our progress. 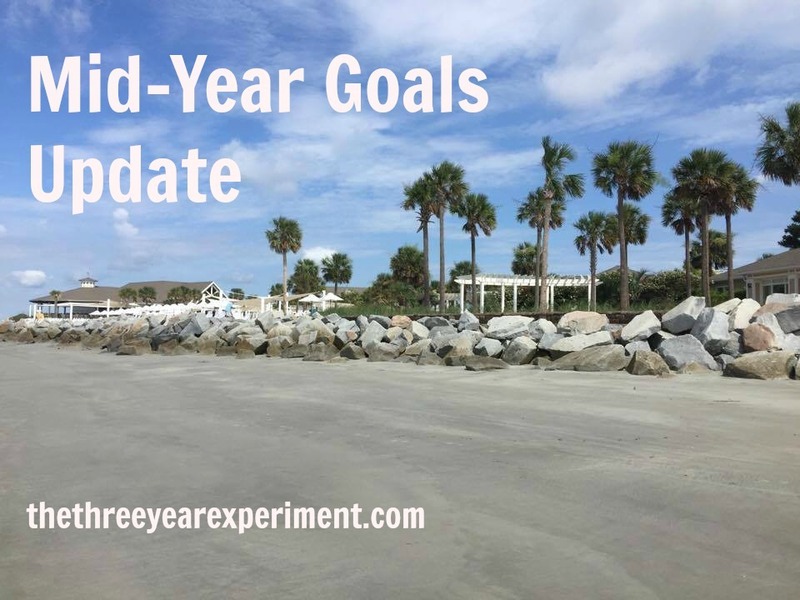 This year, we’ve got some major goals, including paying off our outstanding debt (car and apartment in Chile), replacing our roof, AND saving around $70,000. As of April, we were roughly 16.5% of the way to doubling our net worth. 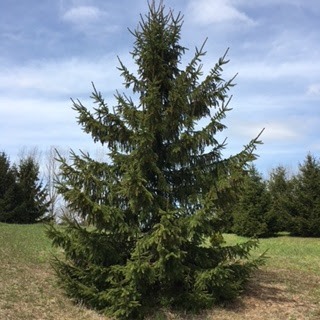 It’s now mid-summer (sigh! can summer go a bit more slowly, please?). The junior ThreeYears and I are currently on a month-long road trip in the Southeastern US, visiting family, and Mr. ThreeYear just flew back to New Hampshire, having joined us at the beach for a lovely, sun-burned week. Part of Mr. ThreeYear’s plans upon return will be overseeing the replacement of our roof. Unfortunately, our thirteen-year-old roof had defective shingles, and so must be replaced. For most of April and May, we priced out having new roofs put on, having previously exhausted our options of using the warranty (it was invalid since we were the second owners of the home) and seeing what the builders of our home would do (nothing). All over our little town, homeowner after homeowner is having to replace his or her roof earlier than expected because of this particular brand of defective shingles. Our freeze/thaw climate is very hard on shingles, and this brand did not pass muster. 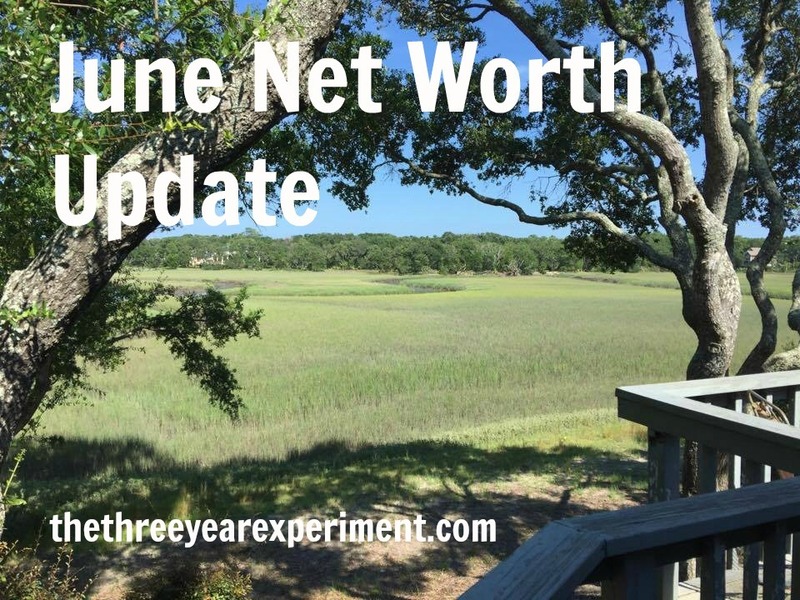 That “little” purchase, which we’ve been saving for all year, and will cost, all told, $14,000, was big enough that our net worth was negatively affected. 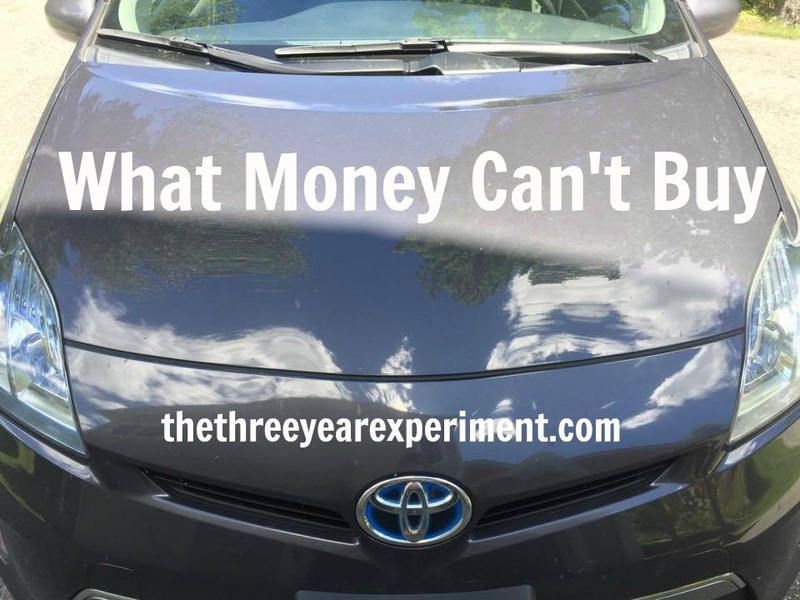 While we didn’t count the money we’d saved toward the roof in our net worth calculations, we did have to take some money out of savings, which meant our number dipped down, very slightly, from the month before. 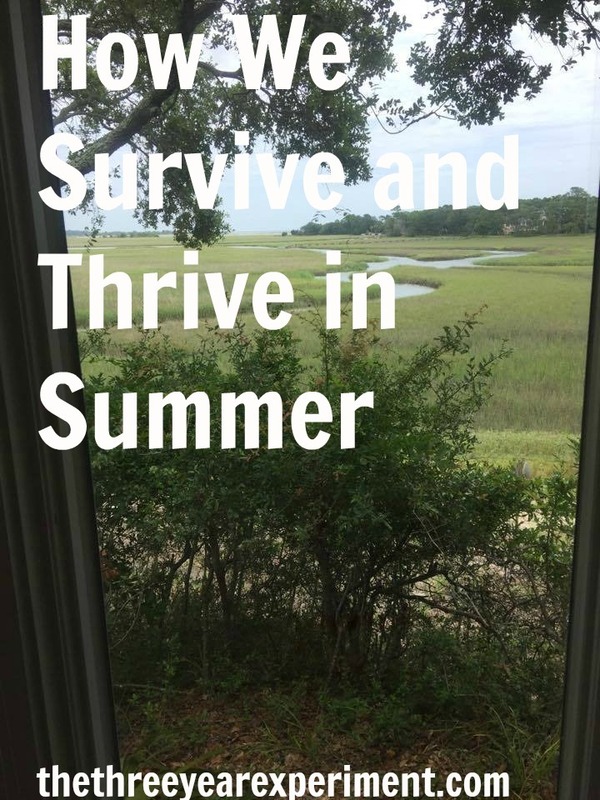 Summer looks and feels a little different for most of us, but for those of us with kids, there are some big logistical challenges to overcome. My friend who has works full time starts planning her kids’ camp schedule in February. Another friend who works part time has her husband work remotely on days she goes into the office. I’m home with my kids all summer since I’m a teacher, but I definitely need a plan for fun and sanity. Read on for how I’ve finally figured out, after many summers, how to include both, without spending a fortune. Two years ago, after seven and a half years as a stay-at-home mom, then two years as a part-time marketing manager, I did an abrupt career change and became a part-time ESOL (English to Speakers of Other Languages) teacher at my kids’ elementary school. It’s been such a wonderful way to make a difference, earn money, and see my kids every day. And the best part of it is that when summer finally arrives, the boys and I are off! We are free to enjoy the summer, go to the beach, and have playdates. Hello! Welcome to “Location Independent, International Jobs,” the Wednesday series where I showcase stories from people who have become location independent, work internationally, and/or continuously travel (check out previous stories here, here, and here!). They’ll be sharing how they became location independent or how they got jobs abroad, but most importantly, they’ll share how their lifestyle has positively or negatively affected their finances and how they got to the life they’re living now. Today, I’d like to introduce you to Ruby from A Journey We Love. 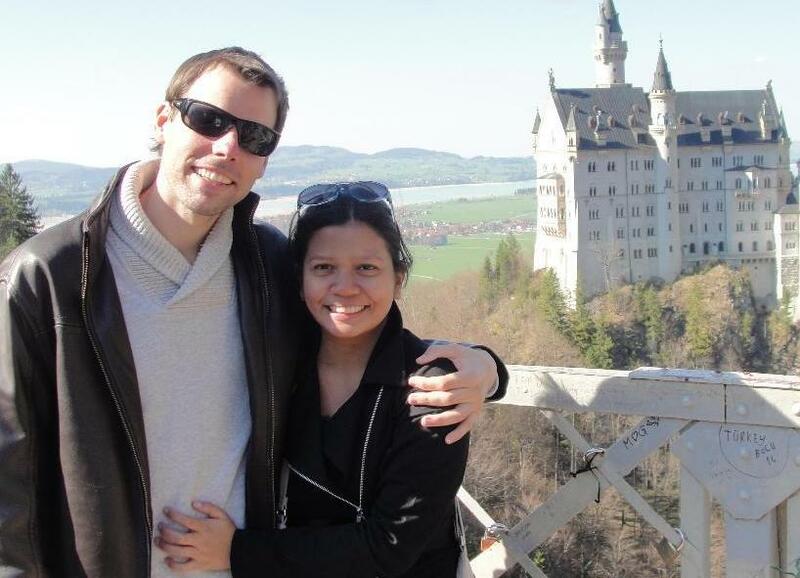 Ruby and her husband are thirty-somethings who travel a lot, even though they have full time jobs and are working towards FI before 45, thirteen years from now. Once they reach financial independence, they plan to become location independent and travel full time. Ruby says, “We want to have more of our time back to do what we want and focus on our passions instead of trading our time for money at a traditional office.” I’m with you there, Ruby, and I look forward to sharing your story with our readers! I was born and raised in the Philippines, and only immigrated to the US four years ago because of a job opportunity. I met my husband in the US, and we’ve been married for a year but together for nearly four years. We don’t have kids yet but we plan to! I was from a middle class background. I lived in the Philippines most of my life – I studied there from grade school until uni and also started my career there. Well, until that day when my employer in the Philippines (a multinational bank) sent me to the UK (this was in 2008). I met a lot of people who loved to travel and that inspired the travel bug in me. I got another opportunity to go back to the UK in 2011 (also through said employer), and I realized I didn’t want to go back home but wanted to live full time abroad. In 2013, the opportunity to move to a new office in Florida came through. It was an expansion and it was relatively new and I jumped at the chance. This contract was only supposed to be for three years, but they took me on as a full-time worker here in the US after I got married to Peter. It was always my goal to leave the Philippines. Back when I was thirteen, I knew I wanted to go, but always thought I’d end up in Singapore, which was a first world country that’s close to the Philippines. I decided that if I looked for work, it would have to be at a multinational company to gain more exposure (and boost my resume if I wanted to look for jobs abroad). Peter’s story is a bit different than mine. He was born in Bratislava, Slovakia and lived there until he was eleven. Then in 1997, his family moved to the US when they won the green card diversity lottery and has lived in the US ever since. I met him through work – we were working for the same multinational company that sent me to the US! Not only did said company make my dream of moving abroad come true, it also gave me the opportunity to meet my husband! July is here, which means we’ve officially finished six months of 2017. (Happy Fourth of July week to all you US readers out there! ).